Aadhaar Card is now being applied to every government service you can find. Recently this linking applied to your LPG gas connection and Bank account. We covered how to link the Aadhaar Card with LPG services and Bank in our previous post. Now we will show you how to check the status of your Aadhaar Card link with these services through various methods. 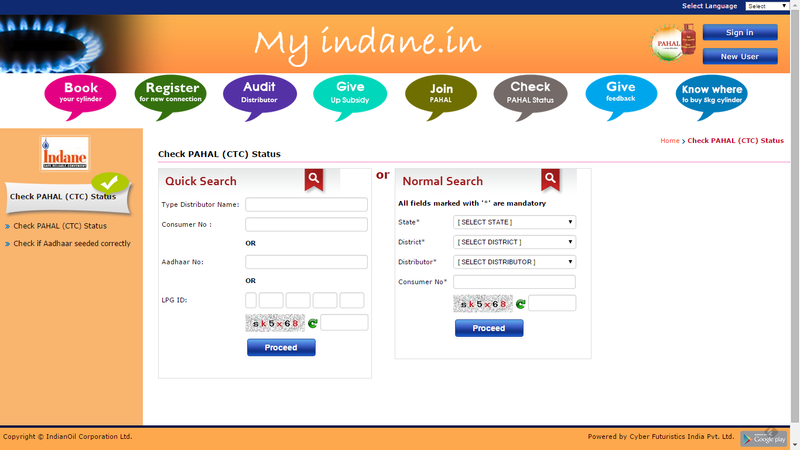 First go to the Indane Gas Service Aadhar link check website here. You can also check your status via SMS using your Registered Mobile No. 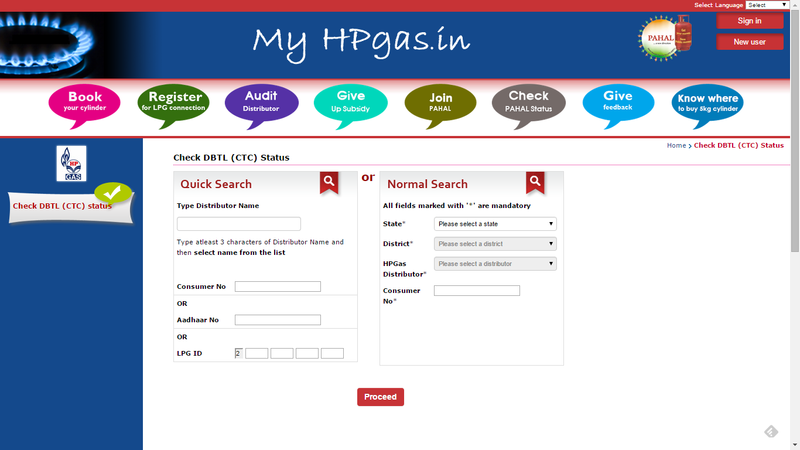 Go to the HP Gas Aadhar link status check site here. Enter the relevant details in the search. Click on proceed to check Aadhaar link status for HP gas. Go to the Bharat Gas Aadhar Link status website here. 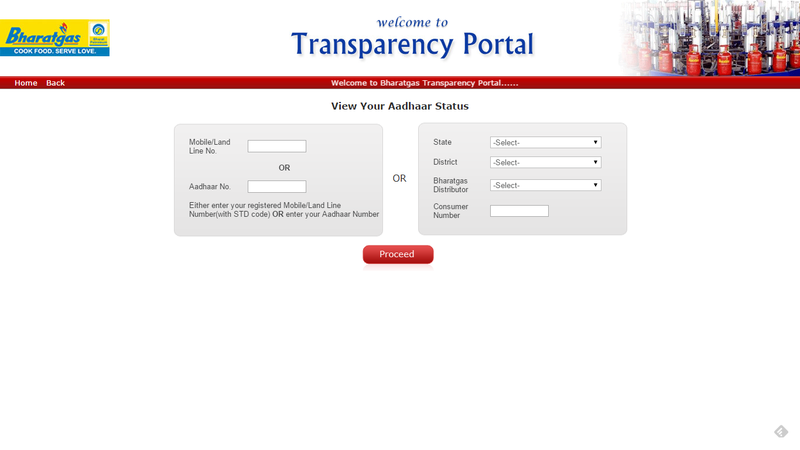 Click on Proceed to check Aadhaar Card link status for Bharat Gas. There is currently no portal sites for any Bank to check the Aadhar card link status for banks. But you can do the following to check for the status indirectly. Dial *99*99# and then enter you Aadhaar No, It will show the bank name if the Link has been complete. Have any problems? Sound them off in the Comments section!